1دانشجوی دکتری، گروه روان‌شناسی، دانشکده روان‌شناسی و علوم تربیتی، دانشگاه آزاد اسلامی، واحد اصفهان (خوراسگان)، اصفهان، ایران. 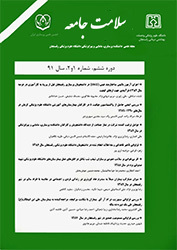 4استادیار، گروه روان‌شناسی، دانشکده روان‌شناسی و علوم تربیتی، دانشگاه آزاد اسلامی، واحد اصفهان (خوراسگان)، اصفهان، ایران. مقدمه: در میان درمان­های روان­شناختی، درمان ذهن­آگاهی بخشش­محور و درمان هیجان­مدار می­توانند برای زنان آسیب­دیده از پیمان­شکنی همسر مفید باشند. بر همین اساس، این پژوهش با هدف تعیین تأثیر درمان ذهن­آگاهی بخشش محور و درمان هیجان­مدار بر افسردگی و تاب­آوری زنان آسیب‌دیده از پیمان­شکنی همسر اجرا شد. مواد و روش ­ها: این پژوهش از نوع کارآزمایی آموزشی (نیمه آزمایشی) سه گروهی دو مرحله­ای (پیش‌آزمون و پس‌آزمون) بود. جامعه آماری پژوهش زنان آسیب‌دیده از پیمان­شکنی همسر در شهر اصفهان بودند که 45 نفر از آن­ها به صورت هدفمند انتخاب و به­طور تصادفی در دو گروه آزمایش و گواه گمارده شدند. برای سنجش متغیرهای پژوهش از پرسشنامه افسردگی بک و پرسشنامه تاب­آوری استفاده شد. گروه درمان ذهن­آگاهی بخشش محور به مدت 11 جلسه و گروه درمان هیجان­مداربه مدت 9 جلسه تحت درمان قرار گرفتند. داده­ها از طریق تحلیل کوواریانس چندمتغیری (مانکوا) تحلیل شد. یافته ­ها: بین درمان ذهن­آگاهی بخشش محور (37/10) با گروه گواه (53/20) در افسردگی در پس­آزمون (001/0>p)، و بین درمان ذهن­آگاهی بخشش محور (40/93) و درمان هیجان­مدار (13/88) با گروه گواه (33/63) در تاب­آوری تفاوت معنی­داری وجود داشت (001/0>p). اما بین درمان هیجان­مدار (67/13) با گروه گواه (53/20) در افسردگی تفاوت معنی­داری دیده نشد. نتیجه ­گیری: بر پایه یافته­های پژوهش، درمان ذهن­آگاهی بخشش محور برای درمان افسردگی و تاب­آوری و درمان هیجان­مدار نیز برای تقویت تاب­آوری زنان آسیب­دیده از پیمان­شکنی همسر مؤثر هستند. توصیه می­شود در راستای ارتقاء توان و سلامت روان­شناختی زنان آسیب‌دیده از پیمان‌شکنی همسر، این دو درمان مورد استفاده قرار گیرند. 1PhD Student, Dept of Psychology, Faculty of Psychology and Educational Sciences, Islamic Azad University, Isfahan (Khorasgan) Branch, Isfahan, Iran. 3Prof, Dept of Psychology, Faculty of Psychology and Educational Sciences, Islamic Azad University, Isfahan (Khorasgan) Branch, Isfahan, Iran. 4Assistant Prof, Dept of Psychology, Faculty of Psychology and Educational Sciences, Islamic Azad University, Isfahan (Khorasgan) Branch, Isfahan, Iran. Introduction: From among psychological treatments, the forgiveness-based mindfulness therapy and emotionally focused therapy can better help women affected by their husbands’ infidelity. The objective of this research is to determine the effects of the forgiveness-based mindfulness therapy and the emotionally focused therapy on depression and resiliency in women affected by their husbands’ infidelity. Materials and Methods: The research method and design included an educational trial (semi-experimental), with three groups and two stages (the pre-test and post-test stages). The research statistical population included the women who had been affected by their husbands’ infidelity in Isfahan city, in 2017, from among which 45 women were selected and then randomly assigned to three groups. To measure the dependent variables, the Becks’ Depression Inventory (BDI), and the resiliency questionnaire were utilized. The group of "forgiveness-based mindfulness therapy" received 11 sessions of treatment, and the group of "emotionally focused therapy" received 8 sessions of treatment, but the control group received no treatment. The data were analyzed using the multivariate analysis of covariance (MANCOVA). Results: The results indicated a significant difference between the forgiveness-based mindfulness therapy (37/10) for the control group (20.53) in terms of depression in the post-test and the pretest (p<0.001), and there was a significant difference between the forgiveness-based mindfulness therapy (93.40) and the emotionally focused therapy (88.13) for the control group (66.33) in terms of resiliency (p<0.001). However, there was no significant difference observed between the emotionally-focused therapy (13.67) for the control group (20.53) in terms of depression­ (p>0.05). Conclusion: Considering the research findings, the forgiveness-based mindfulness therapy is effective in treating depression and resiliency, and the emotionally focused therapy is effective in enhancing the resiliency of women affected by their husbands’ infidelity. Therefore, it is recommended that these two therapies be used to improve the mental health and well-being of women affected by their husbands’ infidelity. Parker M, Campbell K. Infidelity and attachment: The moderating role of race/ethnicity. CFT 2017;39(3):172-83. Fincham FD, May RW. Infidelity in romantic relationships. COP 2017;13:70-4. Snyder DK, Balderrama-Durbin C, Fissette CL. Treating infidelity and comorbid depression: A case study involving military deployment. CFP: Research and Practice 2012;1(3):213-25. Rokach A, Philibert-Lignières G. Intimacy, loneliness & infidelity. The Open Psychology Journal 2015;8(1):71-7. Garrity A. An Analysis of Mental Health in Women’s Magazines. Elon Journal 2016;7(2): 88. Thabet AAM. Trauma, mental health, coping, resilience, and post traumatic growth (PG)-Palestinian experience. Health Care 2017;2(2):555583. Alsubaie M, Abbott R, Dunn B, Dickens C, Keil TF, Henley W, et al. Mechanisms of action in mindfulness-based cognitive therapy (MBCT) and mindfulness-based stress reduction (MBSR) in people with physical and/or psychological conditions: A systematic review. CPR 2017;55:74-91. Sutton GW. Forgiveness therapy: An empirical guide for resolving anger and restoring hope. Journal of Psychology and Christianity 2016;35(4):368-70. Chung M-S. Relation between lack of forgiveness and depression: The moderating effect of self-compassion. Psychological reports 2016;119(3):573-85. Reed GL, Enright RD. The effects of forgiveness therapy on depression, anxiety, and posttraumatic stress for women after spousal emotional abuse. JCCP 2006;74(5):920-9. Freedman S, Enright R. The Use of Forgiveness Therapy with Female Survivors of Abuse. JWHC 2015;6(3):2167-0420. Svendsen JL, Kvernenes KV, Wiker AS, Dundas I. Mechanisms of mindfulness: Rumination and self-compassion. Nordic Psychology 2017;69(2):71-82. Lewis SHN. (dissertation). Mindfulness and Religiosity as Predictors of Forgiveness. An Honors Thesis, Faculty of the Department of Psychology and Philosophy. Sam Houston: Sam Houston State University;2017:16-21. Karris M, Caldwell BE. Integrating emotionally focused therapy, self-compassion, and compassion-focused therapy to assist shame-prone couples who have experienced trauma. The Family Journal 2015;23(4):346-57. Burgess Moser M, Johnson SM, Dalgleish TL, Lafontaine MF, Wiebe SA, Tasca GA. Changes in relationship‐specific attachment in emotionally focused couple therapy. JMFT 2016;42(2):231-45. Zuccarini D, Johnson SM, Dalgleish TL, Makinen JA. Forgiveness and reconciliation in emotionally focused therapy for couples: The client change process and therapist interventions. JMFT 2013;39(2):148-62. Greenberg LS. Emotion-focused therapy of depression. PCEP 2017;16(2):106-17. Johns KN, Allen ES, Gordon KC. The relationship between mindfulness and forgiveness of infidelity. Mindfulness 2015;6(6):1462-71. Kiken LG, Shook NJ. Looking up: Mindfulness increases positive judgments and reduces negativity bias. SPPS 2011;2(4):425-31. Shadish WR, Cook TD, Campbell DT. Experimental and Quasi-Experimental Designs for Generalized Causal Inference. 1th ed. Boston: Houghton Mifflin; 2002:­23-4. Marszalek JM, Barber C, Kohlhart J, Cooper BH. Sample size in psychological research over the past 30 years. Perceptual and motor skills 2011;112(2):331-48. Beck AT, Steer RA, Ball R, Ranieri WF. Comparison of Beck Depression Inventories-IA and-II in psychiatric outpatients. Journal of personality assessment 1996;67(3):588-97. Beck AT, Steer RA, Carbin MG. Psychometric properties of the Beck Depression Inventory: Twenty-five years of evaluation. Clinical psychology review 1988;8(1):77-100. Connor KM, Davidson JR. Development of a new resilience scale: The Connor‐Davidson Resilience Scale (CD‐RISC). Depression and anxiety 2003;18(2):76-82. Crane R. Mindfulness-based cognitive therapy. 1nd ed. Routledge: New York; 2009:­79-155. Aalgaard RA, Bolen RM, Nugent WR. A literature review of forgiveness as a beneficial intervention to increase relationship satisfaction in couples therapy. JHBSE 2016;26(1):46-55. Johnson SM, Hunsley J, Greenberg L, Schindler D. Emotionally focused couples therapy: Status and challenges. Clinical Psychology: Science and Practice 1999;6(1):67-79.